Small Scale Business Ideas – Starting a small scale business and expanding after few years is always recommended. If you are planning to quit your 9 to 6 job and searching for good small scale business ideas you are at right place. 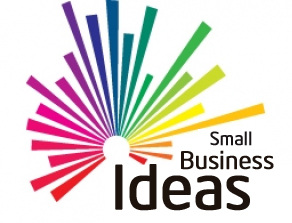 Today I will share 30 Small Scale Business Ideas. These ideas are proven ideas, Young and dynamic people and even housewife can make a lot of money using these ideas. 1. Coaching Class – Starting a tuition or coaching class is an evergreen low-cost business idea. Education is the field where we never see a recession. If you are knowledgeable and result orientated you can earn a lot of money by running coaching class. Break-even period of this business is 1 year and gross profit market is up to 30%. 2. Food Supply – Homemade food or tiffin service is another very good small scale business idea. In order to start this business, you need to be a very good cook. You may offer home delivery or office delivery service at customer cost. You need to maintain consistent taste and quality of food for business continuity. Break-even period for this business is 6 months and gross profit margin is 20%. 3. Marriage Bureau – Marriage Bureau is home based small scale business idea, especially for the woman. You need to be soft spoken with a good social circle in order to be successful in this business. Break-even period for this business is 1 year. 4. Hobby Centre – You can start your own hobby centre where you can offer various courses like Music, Drama, Dance, Craft etc. You can start this center at your home. Initially, you can offer one or two course. You need a skill set to start this center. Break-even period for this business is 1 year. Gross profit margin you can expect is 20-30%. 5. Baby Sitting – In metro cities, we find a lot of working women and they often look for babysitting place where she can keep her children. This is the prime reason for starting a babysitting centre. Break-even period for this business is 1 year and expected profit margin is 30-40%. 6. Dressmaking– Dressmaking or tailoring is another home based small scale business idea for a woman. In order to start this business, you need sewing machine and skill set for making a dress. You can approach school or small business unit for giving you order about dress making. Break-even period for this business is 1-2 year and expected profit margin is 20-40%. 7. Real Estate Agency -Real Estate Agency is the small scale business idea of unorganized sector. You can start this business anytime, however in order to be successful in this business, you require contacts and detail about properties. Break-even period of this business is 6 month. 8. Blogging – A Blogging is sure shot home based small scale business idea. You can start blogging at any time however you surely required technical skill and knowledge about the topic you are writing about. Break-even period for this business is 1-3 years. 9. Beauty Parlor -Opening a beauty parlor is a small low-cost business idea for the woman. A housewife can start this business from home. You need to undergo proper course before starting this business. Break-even period for this business is 1 year. Expected gross profit margin is 20-30%. 10. Photography – If you are good at taking photos, you can start your own photography business. You need to invest in high-quality DSLR camera. Initially, you can start home based studio and expand it at a later stage. Break-even period for this business is 6-7 month and gross profit margin is close to 20%. 11. Stationery Store – You can open your own stationery store with low investment up to 1 Lac. Ideal place to start stationery store is nearby school or nearby business area, where demand of stationery is likely to be more. Find out a good location and take shop on rent. Break-even period for this business is 1-2 year. Gross profit margin is close to 10-15%. 12. Provision Store – Opening a provision store in the residential area is a good small-scale business idea. Break-even period for this business is 1-2 year and gross profit margin is 10%. 13. Courier shop – You can start your own courier shop. The best place to start this shop is nearby office area. You can think of taking agency for big courier company like first flight, DTDC etc. 14. Seasonal Business – Another small scale very good business idea is a seasonal business. India is a secular country with full of the festival. Every Festival is unique and gives reason to celebrate. You can start a seasonal business of firecracker, kite, rakhi etc. 15. Game Parlor – Kids love playing games and it makes sense to start Game Parlor in the residential area. You can think of buying Jumping, battery operated car or other devices like play station to start game parlor. Break-even period for this business is 12 month. Expected gross profit margin is 10-15%. 16. Wedding Planner – If you are creative and you have good managerial skill wedding planner business might be a right choice for you. This small scale business idea can be started with low investment. It requires constant effort and team to make this idea successful. 17. Placement Services – Providing manpower services or manpower to big corporate on commission basis could be the good small scale business idea. You can start this business with low investment. You need a good client who is looking for prospective employees. 18. Chocolate Making – Chocolate making is another low-cost small home based business idea for the woman. At the initial stage, you need to do a good amount of marketing and advertisement to be successful in this business. 19. Custom Gift Making – The trend of giving customize gift is increasing nowadays. You can start your own customize gift making business. If require you can start this business online also. Break-even period for this business is 1 year. 20. Online Ad service Business – If you are creative with a good amount of technical knowledge you can start online ad service business. In order to start this business, you need advertiser and publisher. Break-even period for this business is 3 years and profit margin is approximate 15%. 21. Toy Shop – You can start your own Toy shop. It is very good small scale business idea. You can start this shop nearby residential area. It is advisable to keep toys which are unique. Break-even period for this business is 3 years. 22. Mobile Shop – Starting own mobile shop is another good small business idea. Today people change mobile phone very frequently. Keeping latest mobile phone is status symbol today.Looking at the trend starting mobile shop could be a successful business. 23. Internet Service Provider – If you are tech savvy with the good technical knowledge you can start your own Internet Service provider business. Internet usage in India is growing with jet speed, hence it make sense to start this business. Break-even period for this business is 3 years. 24. Food Parlor – You can serve delicious food to people and earn money. Food parlor is my next small scale business idea. You require suitable place and professional chef to start this business. Break-even period for this business is 3-4 years. 25. Ice-cream and Juice parlor – Serving Ice cream or Juice and earning money is next business idea. You need to take suitable place on rent and start this business. It is advisable to take agency of good Ice-cream Company for starting this business. 26. Bakery or Dairy – Next Business idea is also related to food. You can plan to start your own bakery serving fresh cake and biscuit. You need to serve unique items in order to be successful quickly. 27. Tour Travel Agency – If you are fond of exploring new locations tour travel business could be for you. Under this business, you can organize a tour for people and earn a good amount of margin money. 28. Medical Store – Starting medical store is another good idea. You should be careful in selecting a place for starting this business. It is recommended to select a place which is nearby hospital or clinic. Remember In order to start medical store, you require a license of the pharmacist. 29. Advertising Agency – You can start your own Advertising agency and earn money. In order to start advertising agency first decide that what type of advertising agency you want to run. You will be targeting print media, radio, public place (hoarding) etc. Create prototype and start working towards it. Break-even period for this business is 2 year. 30. Cloth Boutique – Starting own Cloth boutique is very good small scale business idea. In order to be successful in this business, you need to keep unique cloth variety. Initially, you need to spend money on marking also. Break-even period for this business is 3 years and expected profit margin is 15-25%. Hope these ideas are useful to you. Do help me by sharing your business ideas. This will help me in growing the list of 30 small scale business ideas. Do share this ideas with your friends on Facebook and Twitter. « How to Secure Credit Card? CVV and OTP is enough? I want to start a small amount business. I have no idea what type of business is to be done. I am a retired person. You can plan to start small home based business like tuition class,skill centre or real estate agency. Hi,I am civil engineer please suggest me any business. Minimum investment under 10 lack. You can plan to start real estate related business like Interior Designer, Construction business or Hardware shop. I JUST THINK THAT TO START BUSINESS OF CHINA CUTLERY AND ELECTRONIC ITEM. HOW MUCH INVESTMENT IS REQUIRE AND PROFIT MARGIN.